The Commissioner of the London Fire Brigade, Dany Cotton told the London Assembly that “as a measure as part of a range of options in making buildings safe fire sprinklers are key going forward.” Sprinklers are a reliable and cost-effective fire safety measure that can greatly reduce risk of death, injury, property damage and harm to local communities. However, it is important to be pragmatic and accept that given the magnitude of the task it is not feasible to make sprinklers immediately mandatory in all buildings in England. Retrofitting sprinklers in buildings over 30 metres high– 10 storeys – in London alone could cost up to £500 million. As such, we the London Assembly Planning Committee are calling for a risk-based, phased, ‘road map’ towards making sprinklers mandatory in all homes in England. They call for the Government to require sprinklers to be retrofitted in every existing tall building, care home and sheltered housing block during refurbishment work. Whether an architect trying to design a trendier residential layout or homeowner looking to refurbish their residence with a fresher look, modern layouts are constantly at odds with the country’s safety regulations. 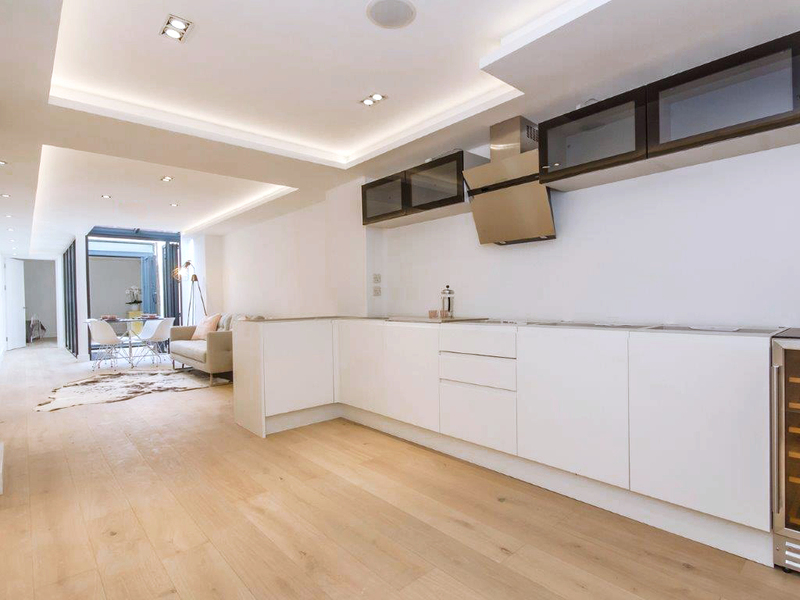 More and more frequently, homeowners want to adjust their property to reflect an ‘open plan’ layout. This simple yet effective architectural trend is derived from an old Japanese tradition which merges rooms (i.e. living/dining room, kitchen/dining room, or entry hall/living room) to let in more natural light and give the appearance of a much larger space. The difficulty associated with open plan design is that it carries with it two central conflicting ideas: a space that is modern and valuable: we’ve seen gigantic kitchen-diners, futuristic staircases and amazing mezzanine loft spaces in high-end Hollywood homes. But also, an insecurity that open plan may not work for the majority of standard homes and spaces. There are an estimated 365,000 residential fires each year in the United States alone. Of which, approximately 180,000 starts in the kitchen. The average cost is $45,000 leading to an economic cost of at least $7 billion. Multiple residencies such as student housing, retirement homes, shared accommodation and flats with communal kitchens are all high-risk categories and increasing concerns for property owners and insurance companies alike. Automist, a new smart water mist sprinkler system, has the advantage of being designed to be compatible with the majority of building layouts and ease of retrofit without major disruption. When installed in the course of a major refurbishment project, the advantage is twofold: disruption is minimised, and volume pricing offers exceptional value. When coming up with design solutions for refurbishing older home models with modern aesthetics, architects are often confined to solutions that are limiting in order to meet the national safety requirements set by the LABC. In addition, city officials are often torn when handling older constructions because they need to be brought up to code with modern fire sprinkler systems but the costs are too high. The choice becomes so challenging that more often than not, the problems are ignored or left alone without an attempt to find a solution that would be both practical and economical. Unfortunately, however, this is a huge risk and liability, and the consequences could be horrific. London, UK —June 29, 2017—Automist Smartscan, designed by Plumis, is a Top Winner in the International Design Excellence Awards (IDEA®) 2017 hosted by the Industrial Designers Society of America (IDSA). See the gallery. Which 25 designs won Gold and which 52 designs won Silver, will be announced on Aug. 19 at the IDEA Ceremony—open to the public at Rich Theater and followed by a ticketed Gala at High Museum. Through Aug. 11, the public can vote online for the People’s Choice Award winner. Plumis won in the Home & Bath category. “We are delighted to have been recognized as one of the outstanding products of 2017, alongside a host of other exciting products” said Design Director, Yusuf Muhammad. A Plumis Automist Smartscan system was installed recently in a loft conversion in Hitchin, Hertfordshire in order to facilitate the retention of the open plan living space. For this kind of contemporary, open space design Building Regulations demand that a protected enclosed stairwell is provided or they require the use of alternative compensatory measures such as sprinklers. Plumis Automist has been used to provide an innovative, best value fire protection solution in a loft conversion in a terraced property in Berkhamstead, Hertfordshire. Creative In/Exteriors, the local accredited Automist installers, installed the system to facilitate a contemporary open plan design whilst at the same time complying with Building Regulations. The means of escape was on the ground floor onto an open plan kitchen and dining room and as a compensatory alternative Building Regulations required an active fire suppression system such as sprinklers. The property owner was disinclined to do this because of budget considerations and the danger of accidental discharge which could seriously affect the fabric of the property and the fixtures and fittings. A suggested alternative was to create an enclosed lobby using a fire door but, equally, Mr Evans was reluctant to compromise the open plan design. A third option was to reconfigure the staircase but this would have proved expensive and intrusive. 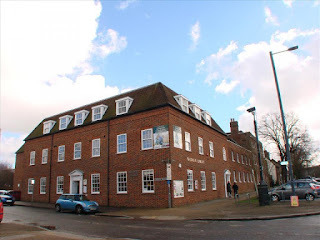 Newflame Fire Equipment Co. Ltd has provided Plumis Automist systems as an innovative watermist fire sprinkler for a block of 7 flats above Baldock library, which had been converted from office space in the Hertfordshire town. The modern, open-plan design of the living areas of 6 of the flats meant that there was no protected means of escape. The LACoRS guide and Approved Document B allow open plan designs as long as some additional features, including fire suppression, are provided. The owner of the building was reluctant to install sprinklers which would have marred the clean lines of the design and in the event of discharge, accidental or otherwise would have drenched the property, the new fixtures and fittings.